Call us today at 860-568-3900 ! 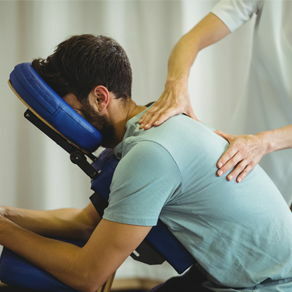 Located on the town-line of Glastonbury and East Hartford, May Chiropractic and Rehabilitation, LLC offers chiropractic care and now MLS Laser Therapy for the relief of a variety of ailments including, but not limited to: spinal pain, sports and personal injury, carpal tunnel syndrome, plantarfascitis, headaches, sciatica and many others. A full x-ray facility and massage therapy are also available to make May Chiropractic and Rehabilitation, LLC your one-stop wellness and rehabilitation center. Dr. Ryan May is a chiropractor committed to providing relief for many symptoms and conditions so that you can have a higher quality of life. Don't just take our word for it though; visit our testimonials page to see what our patients have to say. If you have not been to a chiropractor before and want to find out more, please email us or call 860-568-3900 to receive the answers to your questions from our experienced team. We also welcome referrals, so we invite you to share our chiropractic and wellness information with your friends and loved ones. To receive free wellness and health articles subscribe to our bi-weekly newsletter. If you are already a newsletter subscriber, please explore the member wellness section of our website for animated exercise videos, wellness articles, chiropractic resources, and health facts specifically targeted to your wellness needs and interests by Dr. May. "I am now back to work and almost 100%. My back pain is gone and I'm feeling much better."